Research released by human rights NGO Amnesty International has revealed how a shell company in the heart of London’s West End acted as an intermediary in huge prospective arms deals to war-torn South Sudan and other countries, thanks to regulatory gaps which are making the UK a hotspot for companies involved in illicit arms transfers. Commercial documents name S-Profit Ltd, a tiny UK-registered company, as the ‘supplier’ in a 2014 deal to provide at least US$46m worth of small arms, light weapons and ammunition to the South Sudanese government. The report, From London to Juba: a UK-registered company’s role in one of the largest arms deals to South Sudan, also reveals that the UK government has been aware of similar practices taking place on British soil for more than eight years, without taking effective regulatory action. “South Sudan is awash with weapons that have been used to kill and maim thousands of civilians, causing Africa’s biggest refugee crisis. 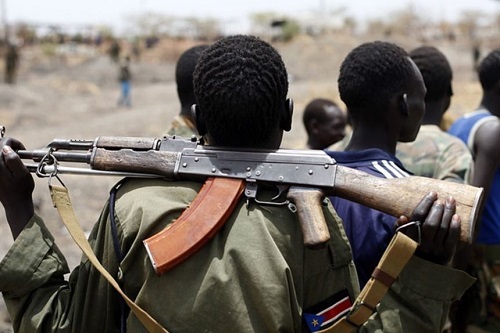 The UK government has been a vocal proponent of a UN arms embargo on South Sudan, yet is turning a blind eye to illegal deals taking place right under its nose,” said James Lynch, Amnesty International’s Head of Arms Control and Human Rights. The weapons in question form part of a previously undisclosed 2014 contract between a Ukrainian state arms company and a UAE-based company to procure US$169m of weapons on behalf of South Sudan. These include thousands of machine guns, mortars, RPGs and millions of rounds of ammunition. If fulfilled, the total deal would constitute one of the largest publicly disclosed arms transfers to South Sudan since the outbreak of fighting in December 2013. Amnesty has not been able to determine whether some or all of the weapons listed in these documents have yet been delivered to South Sudan. However, a UK company may violate UK export control laws even by being involved in the negotiation of an arms deal to South Sudan. The involvement of the Ukrainian state-owned arms company and a UAE private company in weapons supplies to South Sudan also potentially contravenes the Ukraine and UAE’s obligations as signatories to the Arms Trade Treaty. S-Profit’s director –a Ukrainian national based outside the UK – denied to Amnesty International that the firm had supplied military products to South Sudan, but has not responded to further questions, including whether it played an intermediary role. As well as the South Sudan deal, documents seen by Amnesty show a sequence of commercial offers and contract negotiations involving S-Profit Ltd – some unfinished — for the prospective supply of armoured vehicles, weapons and aircraft to Egypt, Senegal, Mali, Rwanda, Ukraine and Peru, as well as to private companies in Serbia, Ukraine, Poland and Australia. Amnesty International has been unable to identify UK trade control licences for any of these negotiations or deals. 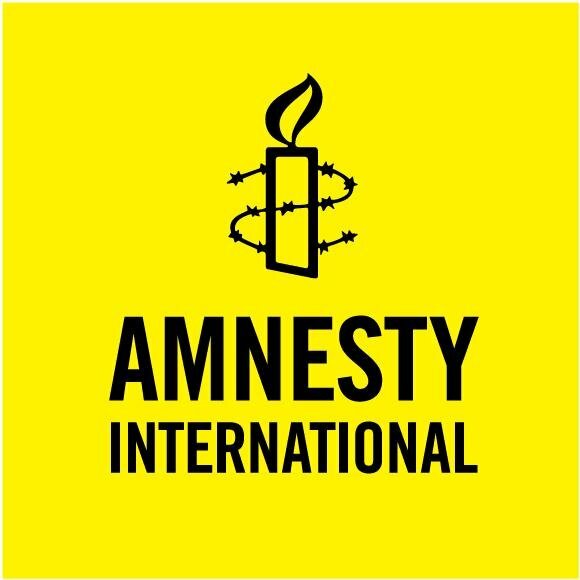 Amnesty International has provided UK authorities with the documents and information it has obtained. The report also reveals that the UK government has, for more than eight years, been aware of UK shell companies being used unlawfully as contract vehicles for weapons dealers to supply arms to human rights violators and embargoed destinations including Syria, Eritrea and South Sudan. The UK has made no regulatory changes to address these gaps. The UK government has also failed to take any meaningful enforcement action against the companies involved, despite powers under UK company and insolvency law designed to allow the government to wind up companies acting unlawfully or fraudulently. S-Profit Ltd is emblematic of how companies that wish to operate in the shadows can benefit from regulatory gaps at Companies House, the government body responsible for registering companies. Anyone in the world can set up a UK company online without needing to provide any identity documents. The day after its registration, the shareholding of S-Profit Ltd was transferred to a Ukrainian national who lists a non-existent UK office address and a commercial ‘virtual telephone switchboard’ service for official communications. “S-Profit Ltd’s company filings give no indication of its involvement in the arms trade – but then UK law does not require them to. This kind of weak regulation is seriously undermining the other robust domestic, EU and international controls which should make any UK involvement in arms transfers to a war zone like South Sudan unimaginable,” said James Lynch. “This should be a wake-up call for the UK government to hold UK-registered companies accountable. Simple measures like checking the veracity of names and addresses and setting up a register of arms brokers would make it much harder for foreign arms dealers contributing to serious human rights abuses to set up shop in the UK. S-Profit is one of three companies named in the documents, alongside the UAE-based International Golden Group and the Ukrainian state-owned arms exporter, Ukrinmash. Amnesty International has repeatedly documented the devastating abuses against civilians in South Sudan since the 2013 civil war began, most recently in the report, “Do not remain silent”: Survivors of Sexual violence in South Sudan call for justice and reparations.